Roof Cleaning – sounds simple right? Generally, in Oregon, when a potential client is inquiring about roof cleaning, it means moss removal from a composition roof. But what are the methods most commonly used to remove moss from a composition roof? The two types of cleaning methods that will remove moss quickly are pressure washing or wire brushing (see below). The moss has a root-like structure that grows and attaches itself to the granules on your roof. So what is the best method to control the moss without damaging the roofing material at all? The simple answer is treatment and weatherization. Weatherization is defined as giving the treated moss time to die off and exposure to the elements. During the summer months moss dries out, becomes less visible, and for many – out of sight out of mind. But moss doesn’t die in the summer, it’s simply waiting for rain to return. Kind of like grass that isn’t watered during the dry months. It always turns green again once the rainy season comes, right? Moss must be chemically treated to stop the growth, otherwise it just continues to grow. Since moss has a root-like structure that grows into the granules, if you are aggressive trying to remove live moss from a composition roof, you are going to remove some of the protective layer of granules. Composition roof granules serve a few purposes. First, they help shield the roofing material from harmful UV rays and the elements of the weather. 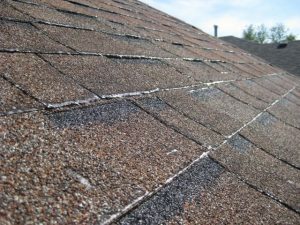 Premature granule loss breaks down the core structure of the composition roofing shingle and will cause premature failure of your composition shingles. Secondly, they provide the wide variety of color variations we have all come to enjoy. Pressure Washing – Pressure washing is a form of roof cleaning that can be quite aggressive on the roofing material. It rips the moss and root-like structure from the composition shingle. Pressure washing is considered a form of aggressive roof cleaning and is not suggested by roofing manufacturers. 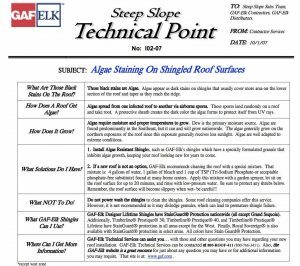 GAF, considered one of the leaders in composition shingle manufacturers, strongly discourages the use of pressure washing on a composition roof. VIDEO – Pressure washing also causes delamination of your shingles. Delamination is caused when the force of the water hits the edge of the decorative layer of the composition shingle and breaks the bond between the two shingle layers. You can read the GAF report about pressure washing here. 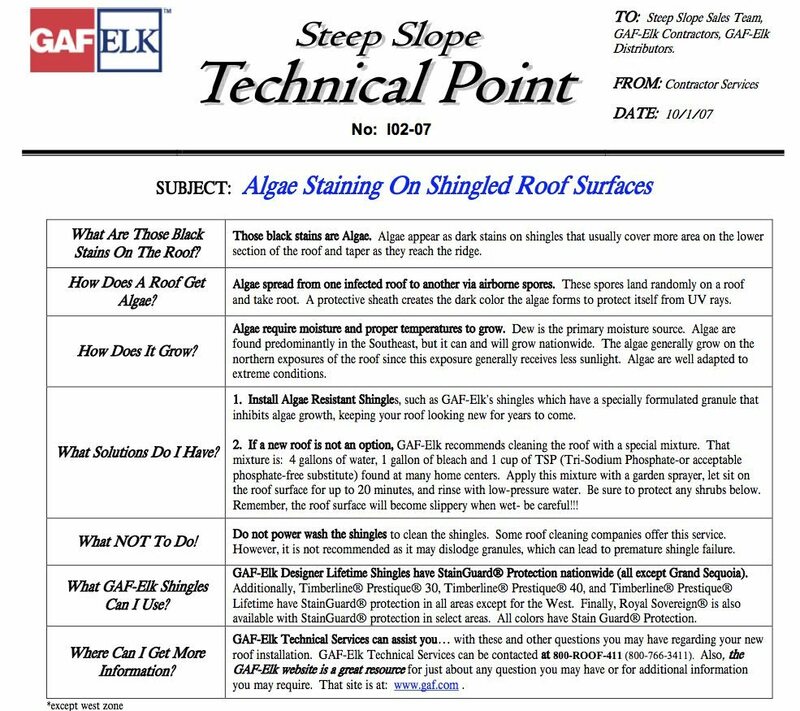 GAF Composition roof care technical bulletin. The one thing this bulletin does not talk about is moss growth. However, GAF recommends not pressure washing black algae growth, which was basically thought to be a build up of dirt, mold and pollen. It’s actually a blue green algae called (Gloeocapsa Magma). Though this black algae growth is unsightly, it is not as potentially damaging to your composition roof as moss growth in the Pacific Northwest. Whether the method of pressure washing is high pressure or low pressure (using water volume instead of pressure), it is in fact the method of removing live moss and ripping it from the roof that can do the most damage. A pressure washer in the hands of an unskilled person can certainly cause irreplaceable damage to your shingles. Professionals know that removing moss with a pressure washer before it is loose and dead, will cause granule loss; it’s an undeniable fact. Our method might not be the quickest, but over the long term duration of your roof, it is the best way to control moss while not damaging your investment. Consumer education on the various ways “Roof Cleaning” companies deal with moss and their long term effects on your roof, means you can make a better informed decision on what’s right for your home. 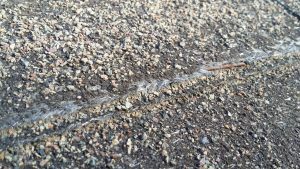 Wire Brushing – Hey, it’s not as bad as pressure washing, right? Actually, wire brushing does remove granules and material from the edge of the shingle. It is also considered a very aggressive cleaning method. While it does remove some moss from the edge, some of the moss gets pushed under the shingle. Next season, when the moss begins to grow, it will begin to lift up the shingle. The newly formed moss is harder to treat because now it is under the layer of composition shingle. Wire brushing can also expose the staple or nail that is holding down the shingle. In the photo to the left you can see an exposed rusted staple just off center that has been exposed to the elements. This is now an area where water can begin to enter the inside of the home and start rotting the plywood underlayment. While a little bit of manual removal for stubborn moss may be an option down the road, there are methods to remove dead, loose moss that doesn’t involve aggressive cleaning techniques. If you have further questions, please feel free to email us through our Contact Us page. 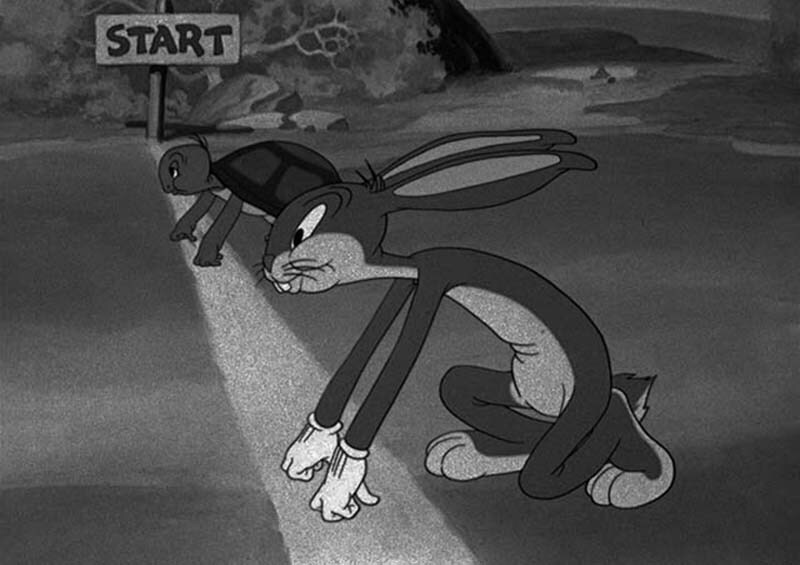 After 25 years in the roof cleaning industry, The Waterworks NW philosophy is simple; slow and steady wins the race.